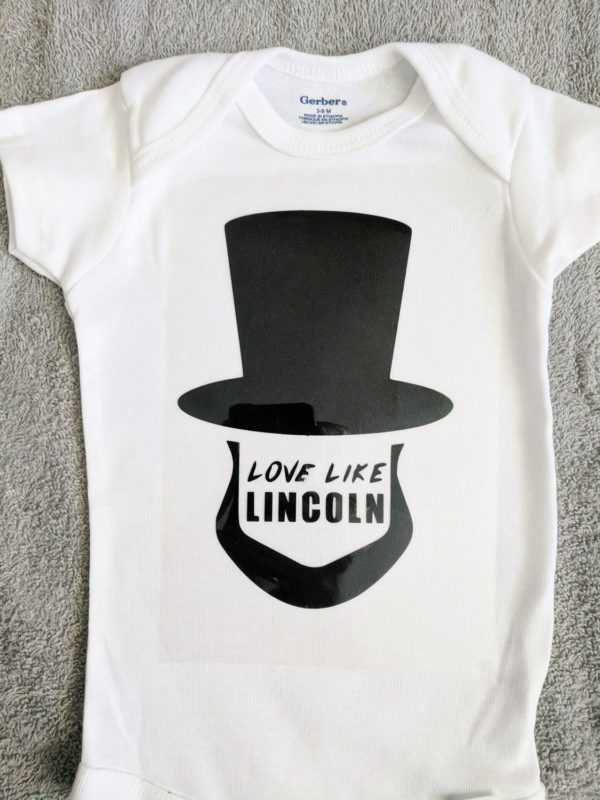 I decided to create onesies for my twins, and I chose an Abraham Lincoln theme for the 4th of July! This is a super easy project that doesn’t cost very much to make, and I found a design online that was licensed for free use. Plus, I have bundles of onesies here at home, so I try to use them whenever I can! Silhouette Studio® is very easy to use, but there is a little bit of information to know before setting out with your first project. You’ll want to be sure to read the manual thoroughly to get a grasp on how to use your machine. I found a design online that was licensed for free use, and from there I simply put that into Silhouette Studio® and added some text. 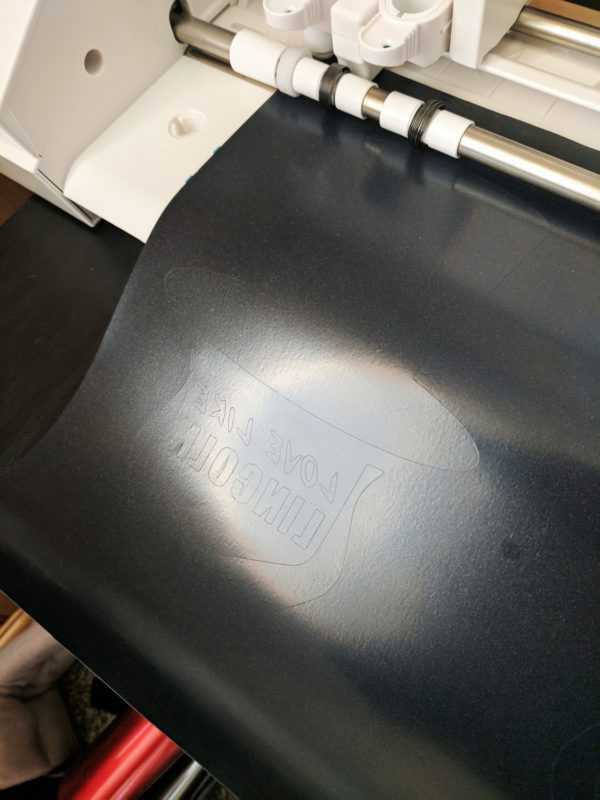 You will need to mirror almost any design that uses heat transfer material, and this heat transfer is no different, so be sure to mirror the design either before you send the design to the machine or when you’ve selected your material type. When you click Send, the software will automatically ask if you’d like to mirror your design. I prefer to mirror my designs before hitting Send so that the machine still cuts along the left edge instead of the right. When your CAMEO is finished cutting, you’ll notice that the cut appears very light. This is how it looks once the vinyl is ready to be weeded. 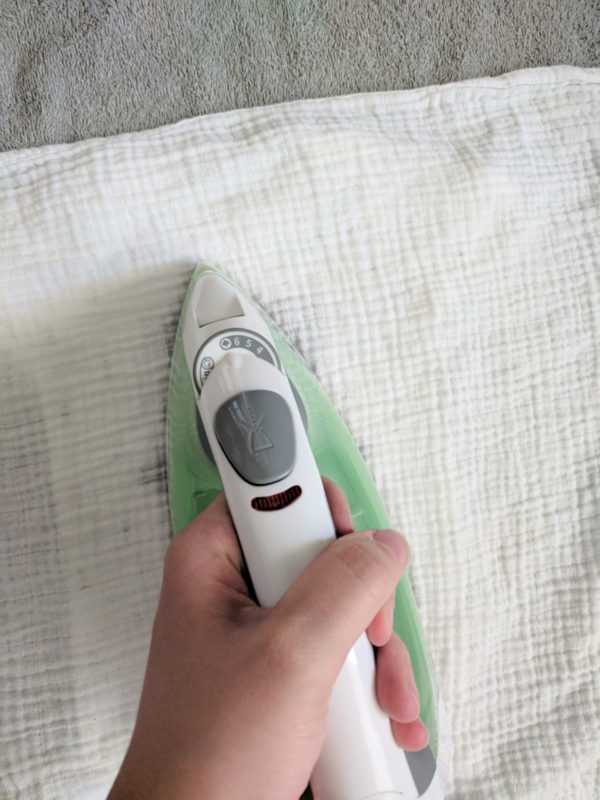 Smooth out wrinkles in your fabric with a warm iron. Weed away the vinyl that won’t be used in the design. Make sure to pay attention to the details and remove all that you don’t want applied to your shirt. 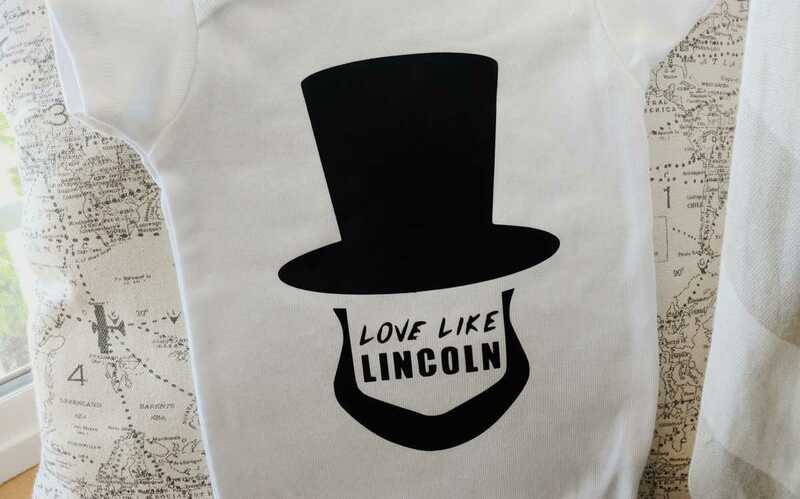 Place your design on the shirt using the stickiness of the heat transfer backing. I like to measure vertically and horizontally to make sure that my design is placed properly. Iron! 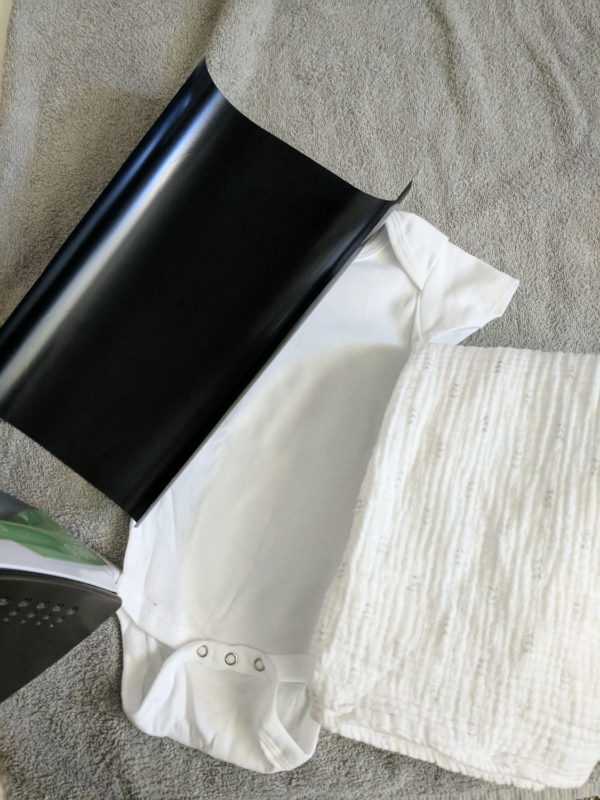 I like to use a baby swaddle blanket in between the iron and the heat transfer because it helps from burning the vinyl or distorting it. Press the iron down firmly and iron until the design has adhered to the shirt. I’m Ally, a Mom to 7, photographer, and lover of all things unique and creative! I love the process of making things that are my own, and being able to say “I made that” is one thing I’ve always loved about life. I live in Idaho, where we are lucky to live in a way that our children can wander and be free outdoors. After coming from the hustle and bustle of big city life, it’s been refreshing to have extra time to be able to allow my creative soul to thrive. Previously, most of my creativity was limited to digital productions, but now that I am a member of the Silhouette family, I find that creating items that I can hold is so rewarding.